According to recent research by the Mintel Group Ltd, more than seven out of 10 people in China say they are now eating a healthier diet and exercising more. The study shows that 56 per cent of participants said they thought good health was the key to achieving personal goals. Thirty-nine percent said it helped their financial situation, and 21 percent felt they had a better social life because of it. United Kingdom-based Mintel Group Ltd said that 42 percent of respondents to its survey bought food as a gift for Valentine’s Day last year. Chinese consumers are increasingly celebrating some foreign festivals, according to the survey, which was carried out in September 2014. The survey was conducted in four first-tier cities, six second-tier cities and three third-tier cities. It involved 3,000 Internet users aged from 20 to 49. When it comes to Western festivals such as Valentine’s Day, dining out topped the list of ways to celebrate, mentioned by 38 percent. Next was shopping or relaxing at home, cited by 33 percent, while 32 percent opted to go out for entertainment. Chocolate was the most popular gift, given by 58 percent of urban Chinese consumers, followed by nuts at 41 percent, baked goods at 38 percent and fruit at 35 percent. But compared with manufacturers in other markets, food companies in China have launched far fewer products targeting Valentine’s Day, said the survey. 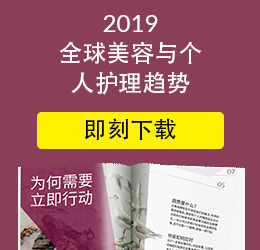 For example, China accounted for only 0.33 percent of all the Valentine-related chocolate products launched from 2012 to 2014, far less than in Western or other Asian markets, according to Mintel. “People are more likely to convey their message of love through festive foods to their partners or spouses,” said Linda Li, a senior researcher at Mintel. Considering the rising popularity of Valentine’s Day, the market is ripe for more Valentine-specific packed products, which could go beyond the heart shape and have more love-related messages or implications on the packaging, she said. Western festivals are more popular among younger consumers in their 20s and 30s, meaning that manufacturers have more opportunities to develop products for younger people, Li said. Traditional foods and gift-giving in person dominate Chinese festive occasions, as the Lunar New Year remains the key time for Chinese people to relax and enjoy family reunions. As the Lunar New Year approaches next week, according to Mintel’s research, most consumers will be on the road or taking a holiday (59 percent), followed by visiting friends and relatives (51 percent), shopping (49 percent), dining out (45 percent) and relaxing at home (44 percent). Food plays a very important role in celebrating holidays in China. Mintel’s report reveals that 90 percent of urban Chinese consumers choose food as gifts during traditional festivals and almost half for Western festivals as well. Nearly half of the consumers surveyed buy food traditionally associated with each festival, and the same proportion prefer giving gifts in person, despite the convenience of delivery services. Some online retailers are offering traditional, locally hand-made food packaged in natural brown paper, with just a simple description of the food in traditional calligraphy, giving the whole package a nostalgic feel.